I’m an outdoorsdude, an entrepreneur, an ad junkie, and a designer with print and web experience. I occasionally blog about advertising, design, news, the media, politics, people, and my own projects. I often wear the same shirt. I squint when it’s bright out. I also squint when it’s not (might be genetic). And I’m pretty much allergic to fruit (but not fruit juice). 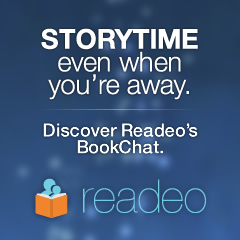 I’m currently working on web start-up called Readeo, a website that allows people who are separated by distance to BookChat—share storytime through video chat and digital children’s books despite being apart. We launched February 2010 with publishers including Simon & Schuster, Candlewick Press, Blue Apple Books and Chronicle Books. My wife Whittney also works in marketing and advertising, runs our semi-personal family blog and is smoking hot.